At Kidsland we strongly use Montessori philosophy. Montessori is not of children taking exams, but of individuals passing from one stage of independence to a higher, by means of their own activity, through their own effort of will, which constitutes the inner evolution of the child. At Kidsland teachers are called directors or directresses because their roll is to each child’s progress and to provide the appropriate environment to facilitate the learning process. Montessori encouraged that you cannot be free unless you are independent, so from an early age children are encouraged to do things for themselves, thereby becoming self-reliant. If they don’t get it right the first time children are encouraged to try again until, through patience, carefulness and repetition, they succeed. At Kidsland learning material designed by our teachers include blocks, beads, puzzles and trays of miniature objects. Learning material is designed to teach about shapes, size, texture, sound, language and number. The idea of specific material is that help children progress from concrete knowledge to the understanding of abstract concepts. Kidsland instigated a revolutionary method of observing and supporting the natural development of children. Montessori educational practice helps children develop creativity, problem solving, social, and time-management skills, to contribute to society and the environment, and to become fulfilled persons in their particular time and place on Earth. 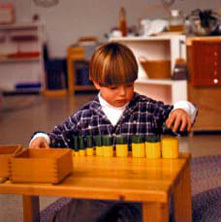 The basis of Montessori practice in the classroom is respected individual choice of research and work, and uninterrupted concentration rather than group lessons led by an adult. At Kidsland we have discovered unique practices that make Montessori fastest growing and most successful method of education today. Most of all, we want to help free our children’s mind to be unfettered to learn without any negative input. The Montessori Method we use is success oriented in that almost everything is self-teaching and self-correcting. The children learn by doing and by experimentation. The environment is specifically prepared for the children to allow them to interact freely and unfettered, everything is child sized, and safe for children to touch and use. In fact, we called our center Kidsland. An understanding between parents and teachers is a large part of Kidsland. The last part is to encourage life-long learning and reinforce the pleasure of encountering and mastering new skills and ideas. The child thus retains and reinforces his or her joy of learning, rather than having it buried under rote memorization or mass production, and is free to explore his or her own path and purpose in life. Dr. Montessori believed in the worthiness, value and importance of children. It is necessary to encourage a child by means of some exterior reward that would flatter his baser sentiments, such as gluttony, vanity, or self-love, in order to foster in him a spirit of work and peace. We learned that a child who is permitted to educate himself really gives up these lower instincts. A sparse environment of carefully chosen materials calls the child to work, concentration, and joy. A child learns from direct contact with the environment, by means of all the senses, and through movement; the child literally absorbs what is in the environment. At Kidsland toys and materials are very best quality to call forth self-respect, respect and care from the child toward the environment, and the development of an appreciation of beauty. 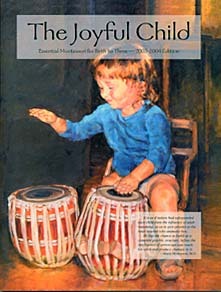 The Prepared Environment: Since the child learns to glean information from many sources, instead of being handed it by the teacher, it is the role of our teacher to prepare and continue to adapt the environment, to link the child to it through well-thought-out lessons, and to facilitate the child's exploration and creativity. At Kidsland the environment is arranged according to subject area, and children are always free to move around the room, and to continue to work on a piece of material with no time limit. Children learn directly from the environment, and from other children, rather than from the teacher. Our teachers are trained to teach one child at a time, with a few small groups and almost no lessons given to the whole class. She is facile in the basic lessons of math, language, the arts and sciences, and in guiding a child's research and exploration, capitalizing on interests and excitement about a subject. Large groups occur in the beginning of a new class, or in the beginning of the school year, and are phased out as the children gain independence. The child is observed, by our teachers. Children learn from what they are studying individually, but also from the amazing variety of work that is going on around them during the day. When the environment meets all of the needs of children they become, without any manipulation by the adult, physically healthy, mentally and psychologically fulfilled, extremely well-educated, and brimming over with joy and kindness toward each other. Then the education of theintellect "
"Children learn directly from the environment, and from other children"